After being drafted to Fremantle from the Tassie Mariners in the TAC Cup, Holland was used as a rover in his first season at the Dockers and was impressive – good enough to make then Dockers coach Gerard Neesham liken Holland to Saints champion Robert Harvey. Holland continued his form in 1999 but faded toward the end of the year and by the end of 2000 was shipped off to Collingwood along with James Clement. New Dockers coach Damian Drum didn’t see the promise in Holland that Neesham saw and offered him as trade bait. 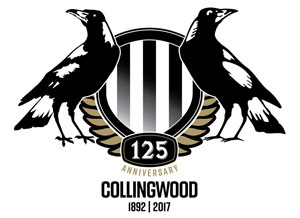 At Collingwood, Holland made an immediate impression, with his goal kicking nous keeping his spot in the side. Holland would often star early in a match and fade for the 2nd and 3rd quarters before starring in the last. In round two 2002 against West Coast at the MCG. Holland won the game off his own boot – literally! 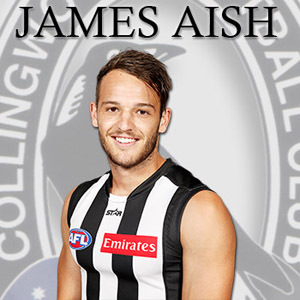 He scored eight goals as he single handedly carried the Pies over the line by a point. But as the season wore on, Holland’s impact lessened and youngsters such as Alan Didak and Leon Davis took over the role as a forward pocket – leaving Holland on the bench or at Williamstown. Although he was named as an emergency for the Grand Final, Holland’s future appeared to be at the crossroads. After a terrible start to 2003, where Holland had one kick and was suspended for two weeks for striking Richmond’s Greg Stafford, Holland fought back midway through the season and established himself as the side’s premier tagger. But the rush to the finals wasn’t all plain sailing. Holland was suspended for two weeks in round 21 for a behind the play incident involving Swan Paul Williams. Video footage showed that Holland punched Williams on the head, 50 meters off the ball. Holland missed the round 22 clash with the Bombers the Qualifying Final against the Lions but returned for the Preliminary Final against Port. 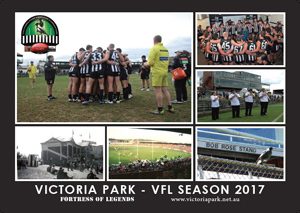 Holland scored two goals as he helped the Pies charge into the Grand Final. On a dirty Grand Final day, Holland was not disgraced as he continued to fight his heart out, even when the resalt was beyond doubt. Moreover, 2004 has been another consistent year from Holland, who was suspended for four weeks for kicking Scott Camporeale in round seven against Carlton. Holland returned against Melbourne to be a key player in the coming weeks.